Ingoe Oils is a trading name of Crown Oil Limited. Crown Oil Limited is committed to protecting your personal data when you are using our services. Personal data is any information relating to an identifiable living person who can be directly or indirectly identified in particular by reference to an identifier such as a name, postal, email and ISP addresses and cookies. This privacy notice relates to our use of any personal data that we collect from you whether in the course of the supply of fuel, lubricants, storage tanks, generators or other associated products and services, the provision of access to our online services or recruitment. Ingoe Oils is a trading name of Crown Oil Limited. Crown Oil is a member of the Crown Group of Companies; it is registered in England and Wales with company number 1315556 and has its registered office at The Oil Centre, Bury New Road, Heap Bridge, Bury, Lancashire BL9 7HY. Crown Oil Limited is a data controller and is registered with the Information Commissioner’s Office (IDZ9218091). 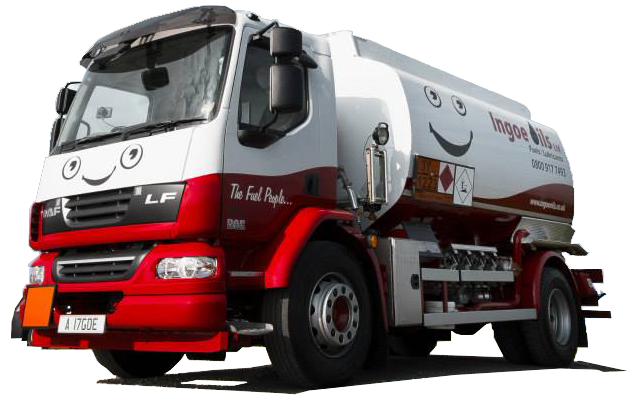 We supply fuel, lubricants, storage tanks, generators or other associated products and services to both commercial and domestic customers throughout the country. If you are a new customer, and where we permit selected third parties (such as other members of the Crown Group of Companies) to use your data, we (or they) will contact you by email and/or SMS only with your consent. On occasions we will share your contact details with our agents (such as third party suppliers) who may need to contact you to arrange, for example, the delivery of fuel, storage tanks or generators or the supply of other associated products and services on our behalf. This data allows us to carry out recruitment. We will dispose of all unsuccessful candidates` data securely unless we are asked to retain the CV on file or share it with another member of the Crown Group of Companies. External telephone calls are recorded for training, security and auditing purposes. The cookies provide us with anonymous information showing us the number of visitors to our website, the device used to access it and which web browser they are viewing it on. This data allows for statistical analysis and helps us understand our customer behaviour better and optimise your online experience. Cookies, also, provide a convenience feature to save you time. For example if you personalise a web page or navigate within a site, a cookie helps the site to recall your specific information on subsequent visits. This simplifies the process of delivering relevant content and eases site navigation. Our website, also, uses the Lucky Orange analytics system to help improve usability. Lucky Orange may record mouse clicks, mouse movements and scrolling activity. Lucky Orange may record keystroke information that you voluntarily enter on this website. Luck Orange does not track this activity on any site that does not use the Lucky Orange system. You can choose to disable the Lucky Orange service at http://www.luckyorange.com/disable.php. Please note, that doing so will disable other features of the Lucky Orange system. We take all reasonable steps to ensure that appropriate safeguards are in place to protect your personal data. We have policies in place dealing with information security (both physical and digital) and data breaches. We ensure that our staff are properly trained so that they can process your data securely and safely. If you would like to discuss this privacy notice or suggest ways which we could improve the content or its communication then please contact a member of staff on 0161 764 6622 who will put you in contact with the data protection manager or email datamanager@ingoeoils.co.uk. Further details of how to make a DSAR can be found at https://ingoeoils.co.uk/data-subject-access-request-process/. You can also speak to a member of staff on 0161 764 6622 who will put you in contact with the data manager should you have any questions or queries relating to a DSAR. If you require your personal data to be rectified you can speak to a member of staff on 0161 764 6622 who will put you in contact with the data protection manager or email datamanager@ingoeoils.co.uk. If you require your personal data to be erased you can speak to a member of staff on 0161 764 6622 who will put you in contact with the data protection manager or email datamanager@ingoeoils.co.uk. If you wish for restricted processing to be applied to your personal data you can speak to a member of staff on 0161 764 6622 who will put you in contact with the data manager or email datamanager@ingoeoils.co.uk. Should you wish to exercise your right to data portability you can speak to a member of staff on 0161 764 6622 who will put you in contact with the data protection manager or email datamanager@ingoeoils.co.uk. In circumstances where you may have provided your consent to the processing of your personal data for a specific purpose, you have the right to withdraw your consent for that specific processing activity at any time. To withdraw your consent you can speak to a member of staff on 0161 764 6622 who will put you in contact with the data protection manager or email datamanager@ingoeoils.co.uk. Details of what automated decision-making activities we carry out are described below in paragraph 14. If you wish to speak to a member of our team to understand the decision made, obtain an explanation of the decision and challenge it you can speak to a member of staff on 0161 764 6622 who will put you in contact with the data protection manager or email datamanager@ingoeoils.co.uk. You can report a concern or raise a complaint with us initially by contacting your usual contact or speaking to a member of staff on 0161 764 6622 who will put you in contact with the data protection manager or email datamanager@ingoeoils.co.uk. Crown Oil Ltd is a data controller and is registered with the Information Commissioner’s Office (ID Z9218091). If you would like to discuss this privacy notice or suggest ways in which we could improve the content or its communication then please contact us on 0161 762 1838 or datamanager@ingoeoils.co.uk.